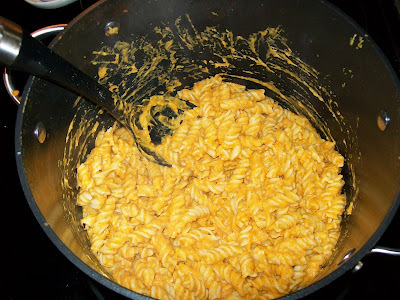 Frugal & Fabulous: Frugal Recipe: Pumpkin Penne with Rosemary! Frugal Recipe: Pumpkin Penne with Rosemary! Garnish each serving with the fried rosemary or set it out in a small dish for people to garnish themselves. This was good but... dare I say it? It tasted "healthy." If you make it, make it as a side dish and you might want to top it with a little melted cheese. DH rated it a 6.5, I rated it a 7. Worth a try but not really our thang. See the original recipe here !